The Christianstad Symphony Orchestra was founded in 1928 and consists of over 40 musicians. The orchestra’s home is the Kristianstad Concert Hall, which offers many opportunities for meetings and experiences for visitors of all ages. Annually we perform 6-8 concerts mainly in Kristianstad and nearby. We have a mixed and varied repertoire ranging from classical music to musical, Christmas carols, rock music and more. Our musicians are amateur musicians, leisure musicians, professional musicians and young musicians. Since 2001 Christianstad Symphony Orchestra is conducted by Patrik Dahlbom and concert Master since 2006 is Christopher Dury. Kristianstad Orchestra Association operates both as orchestral arranger and with its own symphony orchestra, which since 1995 calls itself Christianstad Symphony Orchestra (i.e. 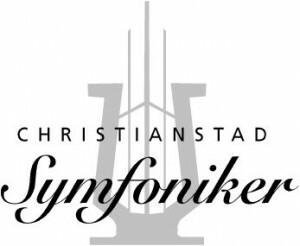 Christianstad Symfoniker).